Selling a condo is a major lifestyle or investment decision. Many steps are involved to ensure the transaction goes smoothly. When closing documents are signed, it can come as a surprise to find the selling price does not match the closing price as shown on the purchase agreement. At closing adjustments are made for prepaid items including property taxes, maintenance fees and utilities. 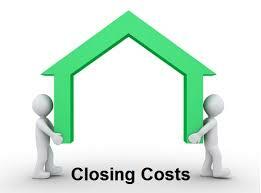 These adjustments ensure neither buyer or seller pay for the other’s ownership obligations as of the closing date. That is, a buyer does not get to own the property during a period for which the seller has paid condo fees. Conversely, a seller must pay for utilities used up until the closing date even if a bill has not been issued. A schedule of these adjustments is typically provided to each party in the transaction by their lawyer. HST is not a consideration since it is payable for new condo purchases, not resales. Unlike new condo purchases which are conditional for ten (10) days in Ontario, per provincial legislation, condo resales are not conditional unless written into the contract. Dimension III Real Estate Services Ltd. represents buyers and sellers of condo properties. Marty Kestenberg, Broker of Record, can be reached at luv2negotiate@gmail.com. Click here for a free market value summary for your property.